With my new 'It's a Ghost Thing' kit of course comes a freebie! 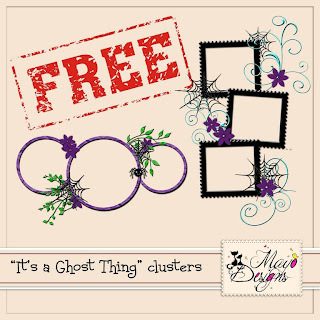 I've made these clustered frames for you that go perfectly with my Ghost Thing kit. Enjoy!